Rowling theme translations are maintained by the WordPress community. 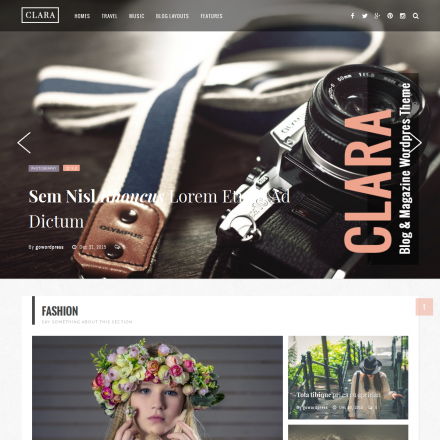 Rowling is a beautiful WordPress theme for magazine and blog websites. 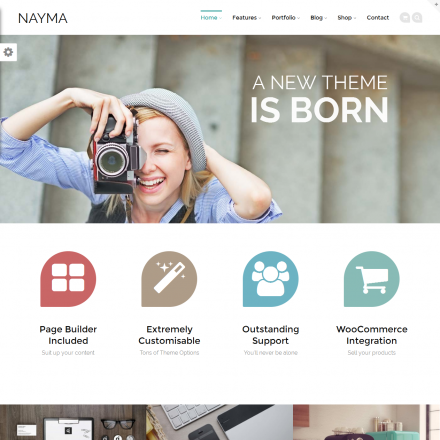 The theme features two menu locations, social icons, custom accent color and image logo upload. 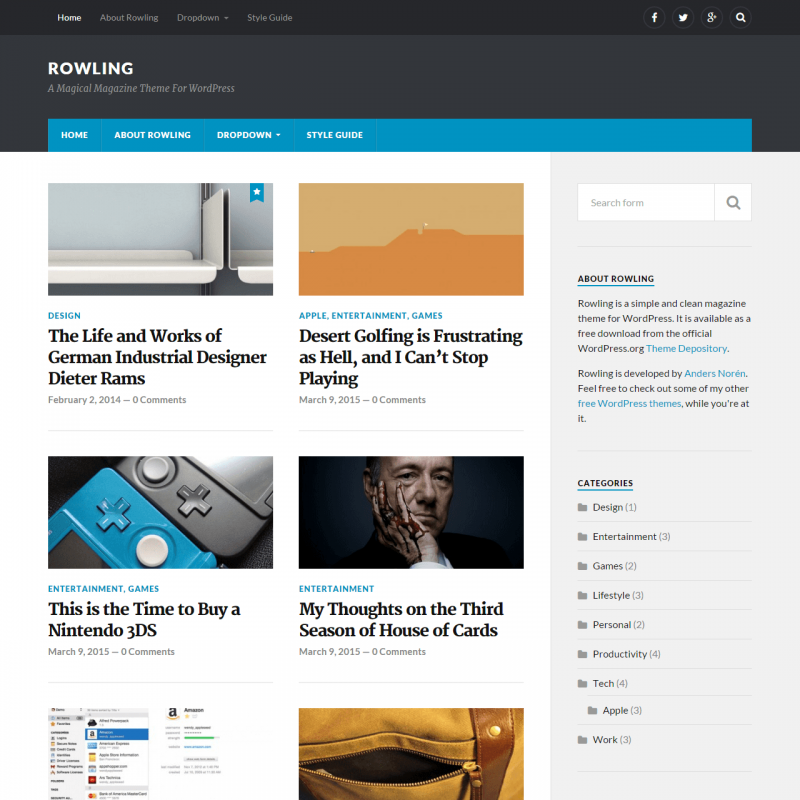 Rowling theme supports gallery post format, provides editor styles and three custom widgets, such as Flickr widget, recent posts and recent comments. 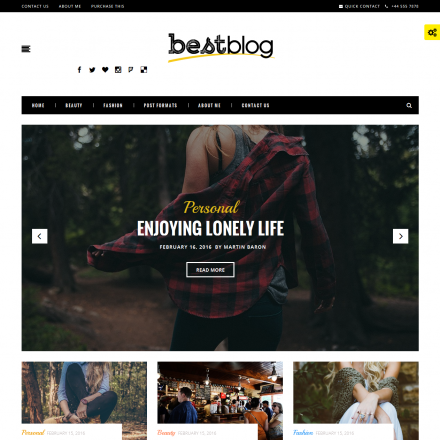 The theme employs a nicely styled related posts section for single posts.